Papermania’s Create Christmas returns ready for the festive season and bursting with all your yuletide crafting essentials. 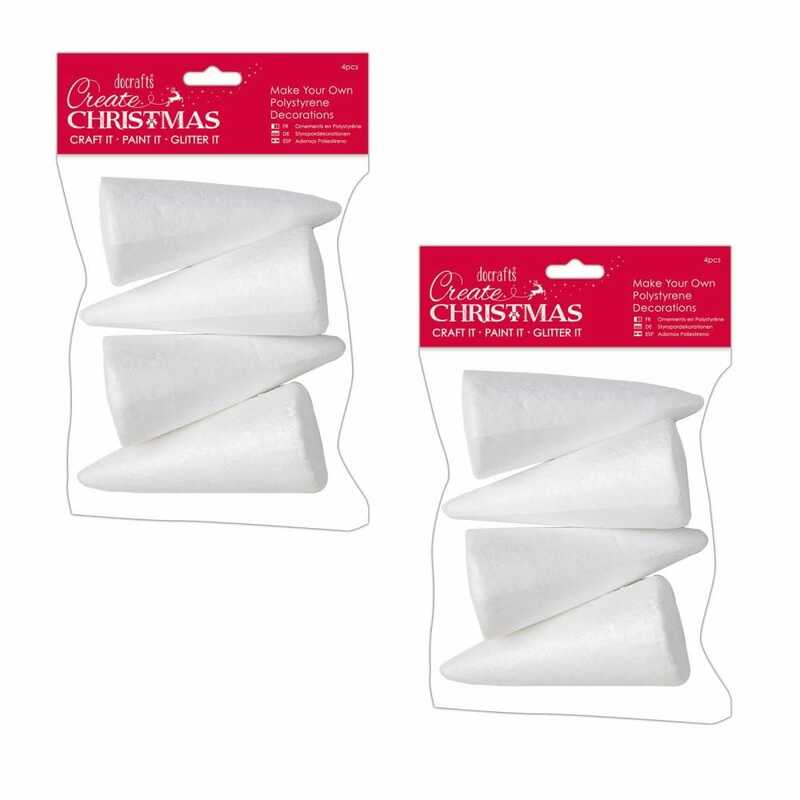 This pack contains 4 polystyrene cones which make the perfect base for creating your own Christmas decorations. Mix these with mini pom poms and LED String Lights to create mini Christmas trees.